8D Problem-Solving (Eight Discipline) is a step-by-step problem-solving methodology popularized by Ford Motor Company. With the 8D problem-solving process (or Global 8D as Ford calls it), project teams are chartered to address and solve problems by uncovering and eliminating the root cause of the problem. 8D Problem-Solving Training teaches learners how to solve problems in a team setting using the 8D (8Discipline) problem-solving method. Each of the eight steps is presented and explained in detail. The course includes tutorials on dozens of problem-solving tools that help identify, analyze and fix problems. Understand and use the 8D Problem-Solving process to solve problems. Work on and contribute to a problem-solving team. 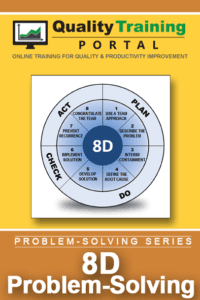 Apply the appropriate problem-solving tools throughout the 8D problem-solving process. Error-Proofing Business Processes – This course explores how to error-proof transactional processes by studying both the server-side (service provider) and the customer-side of the transaction. Techniques to uncover the root cause of errors and then prevent their recurrence are covered. Cost of Quality – Learn how to effectively track and monitor COQ % over time to see if improvement efforts to reduce COQ are working. Form an effective project team. Define roles of the team members. Set boundaries of freedom for the team. Help get the team started up. Understand the scope and magnitude of the problem. Recognize that the task is to investigate the problem, not jump to solutions. Determine if Interim Containment is needed. Design and put temporary measures into place to “buy time” until a permanent solution can be developed and implemented. Verify that interim containment measures are working. Use process mapping techniques to clarify the bounds of the process. Identify relationships between causes and the resulting effect using Cause and Effect Diagrams. Collect data and then use data display tools to visually analyze that data. Use Investigative Tools to uncover more clues to the root cause. Conduct confirmation runs to verify that the root cause has been found. Identify potential solutions that address the root cause. Consider solution candidates that will prevent the root cause from recurring as well as detection approaches that warn if the problem may recur. Remove candidates that are not practical, feasible or cost-effective from consideration. Use decision matrices to select the most balanced solution. Understand how to develop Action Plans using either Simple or Complex Action Plans formats. Learn how to use Project Management tools such as Activity Plans, PERT Charts and Gantt Charts to develop Action Plans to manage and track implementation of the solution. Recognize that the solution has been not fully implemented until related documentation is updated and communication has been completed with all involved parties. Use techniques to ensure the problem does not recur. Know which associated documents and systems to update. Recognize how powerful it can be to share LESSONs Learned. Encourage the organization to recognize the problem-solving team for a job well done. Ensure the problem-solving team recognizes those that have assisted them. Learn how to use the 8-Discipline process to work through and solve a problem in a team. 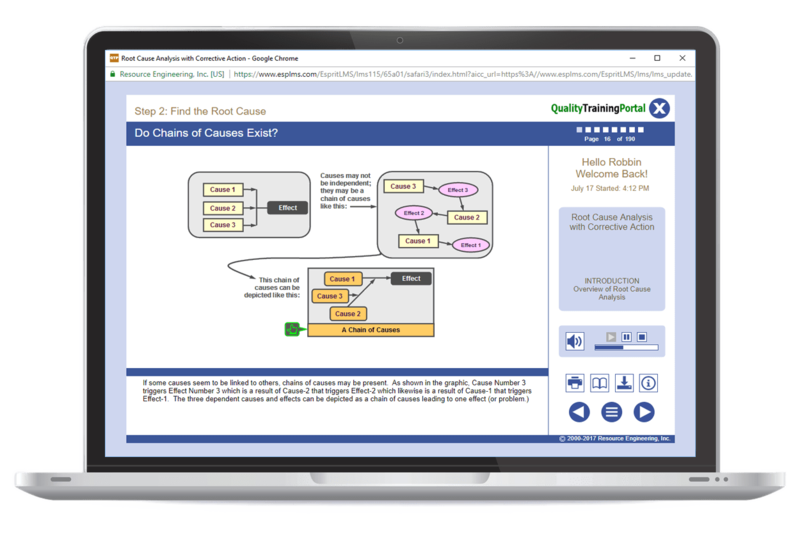 Use problem-solving tools and techniques to collect and analyze data, make decisions and evaluate the effectiveness of an implemented solution. Document team progress and solutions using forms and worksheets. Design and put temporary measures into place to "buy time" until a permanent solution can be developed and implemented.